When frontline start-ups, such as CommonFloor, struggle to raise capital or are pushed back on valuations, the ripple effect on others in the ecosystem can only be painful. 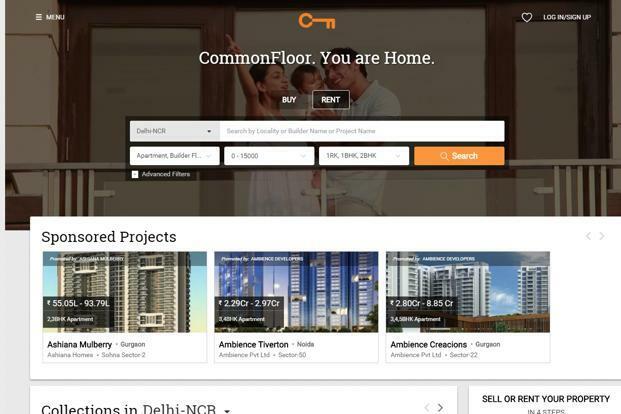 After months of repeated and somewhat indignant denials, Bengaluru-based property search platform Commonfloor.com has finally said that it is being acquired by Quikr India Pvt. Ltd. A joint statement issued on Thursday says that CommonFloor will merge with QuikrHomes, the real estate offering from the Mumbai-based online classifieds player. Though the financial terms of the transaction have not been disclosed, it is well known now that CommonFloor’s acquisition was preceded by an extended campaign by the company to raise fresh capital, somewhere in the region of $200 million. In October, when acquisition rumours had started to gather momentum, founder and chief executive officer Sumit Jain said in an interview that the company was still in talks with “investors to increase the capital pool”, though he did not specifically rule out a merger with Quikr. The fund-raising talks, quite obviously, came to naught. Several people familiar with the transaction have said that even if CommonFloor did manage to raise fresh funds, it would have most likely been a down round (at a valuation lower than the valuation in its previous fund-raising round). Further, it would have also had to pare the ticket size of the round. The company last raised an undisclosed sum from Google Inc.’s investment arm Google Capital. “Google Capital came in at a valuation of $160 million. The acquisition value is definitely below that,” one of the venture capital investors party to the transaction had shared in confidence a couple of months ago when negotiations were still underway. This, however, could not be confirmed with either Quikr or CommonFloor. Still, CommonFloor’s inability to raise fresh capital, despite being backed by deep-pocketed investors such as Accel Partners, Tiger Global Management Llc and Google Capital signals changing realities in India’s start-up market. Since around September, due to various factors, there has been a significant tempering of the mythical valuations that start-ups, especially in the consumer Internet sector, commanded over the past couple of years. Investors, at present, are less willing to write out large cheques unless they are able to see a clear path to profitability. Nearly every start-up backed by venture capital is currently under pressure to cut costs and focus on profits. Last month, Mint reported that even Tiger Global, the New York hedge fund that has pumped nearly $2 billion into Indian start-ups over the past few years at breakneck speed, was taking a back seat in large funding rounds in some of its existing portfolio companies. Start-ups may argue that investors have been as complicit in fanning valuations to unrealistic levels and the pull-back now is not entirely fair. That’s true and it isn’t fair. When frontline start-ups, such as CommonFloor, struggle to raise capital or are pushed back on valuations, the ripple effect on others in the ecosystem can only be painful. We’ve already seen the so-called food technology sector go through a phase of consolidation. Over the next few months, it won’t be entirely surprising to see more start-ups, across sectors, give in to down rounds or at best raise fresh capital at flat valuations (the same valuation as the last round). The positive outcome from all that pain hopefully will be that start-ups will learn, rather relearn, that raising venture capital is not a business model. Snigdha Sengupta is a freelance journalist in Mumbai and founder of StartupCentral. She contributes stories on private equity and venture capital to Mint.